Sleeping packs are all the rage on our neighboring Asian countries. Who wouldn't be tempted to try them out? With our fast paced schedules, it's hard to sit around for half an hour waiting for your mask to seep in your face or dry up. Using sleeping packs buy you extra time, because you apply it before you sleep and you wash it of the morning after. That easy! Not messy either! Here's the sample I got! This dual functional sleeping pack contains a wrinkle-improving functional ingredient of adenosine and a skin whitening functional ingredient of arbutin. It makes dull, sagging, and wrinkled skin young and healthy. How to use: After evening cleansing, apply an appropriate amount along the skin texture around the face and neck area and gently pat to absorb. This should be the last stage of skin care process. When I got this sample last year during my Korean Haul, I really didn't know what it was for. I thought it was some thick mask that you put on while sleeping. (You can't see whats inside because of the foil packaging) It was only until late December, when I rummaged through my make up and skin care loot, that I found two packs of these waiting to be used. Without researching, I opened one sample and applied it like moisturizer. The next day, my face broke out! It was too oily for my skin type - turns out I used the product in a wrong way. Thank goodness I researched after, giving it a second chance changed my thoughts about this product. Turns out, you have to use your usual skincare routine first before putting this on - making sure that you put this one last. I used this for almost a month now, doing it twice a week, it did give changes on my face but it wasn't abrupt. To be honest, this left my face oily in the morning which made me freak out again. But after cleansing my face, it gave out a very healthy glow. It really brightened my face! And it left it soft and smooth that I didn't have to put moisturizer after. 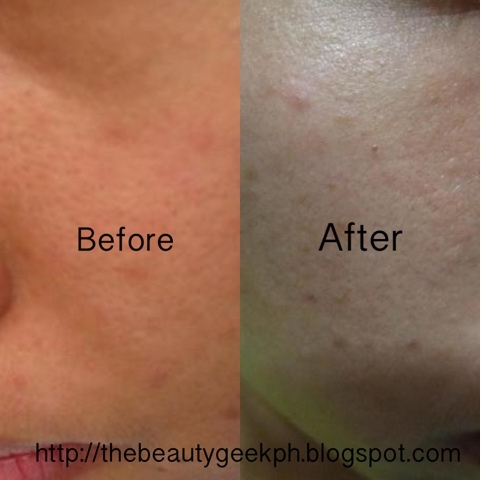 It also lightened my dark spots, especially under my eyes. Another thing is, it minimized my wrinkles, although I do not have a lot which is hard to see in the pictures, but it did lessen them. The product has adenosine, this is a compound that is naturally produced by the body and helps in the anti-aging process (anti-wrinkles) by increasing the levels of collagen. This helps reduce wrinkling of skin. 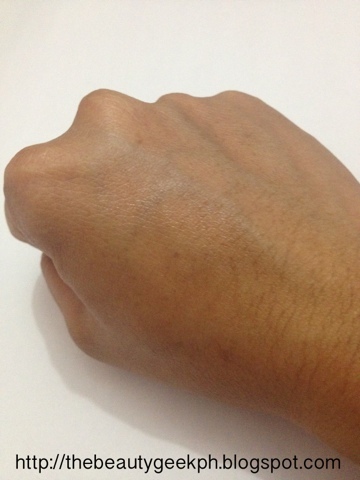 On the other hand, arbutin, a skin whitening agent, it works as de-pigmenting the skin by preventing melanin build up. Told you girls! It really looks like moisturizer to me! CONSISTENCY: It has a thick consistency at first but changes upon spreading as it becomes lightweight (as if your spreading water). It reminds me so much of my Celeteque moisturizer in this aspect, only this looks a lot thicker. It is easily absorbed easily by my skin. And when I spread it all over my face, it really gave my face the hydration it needs. AVAILABILITY: Sadly, it is not locally available at Tony Moly stores here in the Philippines. But they have other sleeping packs worth trying, you may check Tony Moly. It really made my face oily after using it which is a good and bad thing. I would suggest this to people who have dry - normal skin because I have a combination of dry and oily skin which may be another cause. It opened up my pores on my first week of use. Because I used it everyday (when I shouldn't have) This was easily remedied by washing your face right after you wake up. It really brightened up my face. Also, it whitened my under eye circles, something the product didn't claim, but worked for me. It did a great job in minimizing my wrinkles. It is a great hydrating and moisturizing product. Saves up a lot of time compared to when you are using collagen masks and mud packs. OVERALL: This product will work well for older people and those who have dry skin. While it's good at moisturizing, people who have the same skin type as mine do not need that much moisture since we produce natural oils (than usual) and it is enough to give the right kind of moisture in your face already. What I am impressed about is how it brightened my face after every use and it gave a healthy glow - not a pale one. WILL I PURCHASE: Maybe. I am thinking of trying out other Sleeping Packs like the famous Laneige Water Sleeping pack. 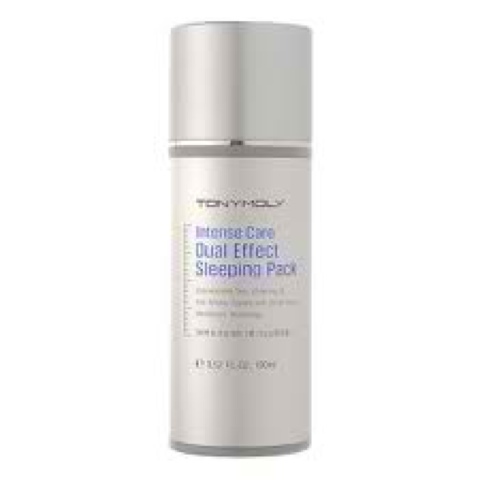 But Tony Moly's sleeping pack is something I want my Mom to try because the brightening and anti-aging effect of this product is impressive! That is all for tonight ladies! Have you tried sleeping packs? I'd love to know about them!